Profile: Lesley is based in Cheshire and studied at Manchester Metropolitan and Glyndwr Universities. She graduated with and Applied Arts degree in 2011, specialising in glass. She lived and worked in Thailand for 10 years prior to studying. 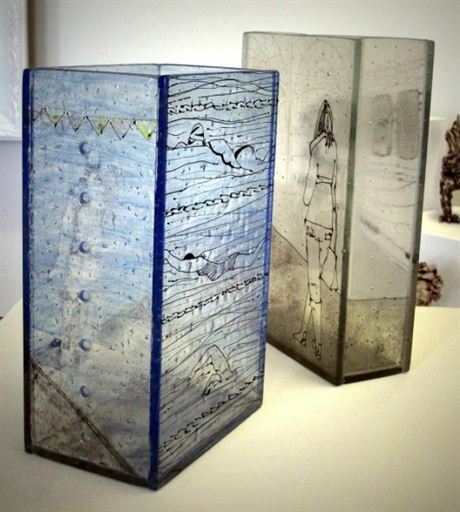 Her work is centred upon simple observational drawings of everyday life which she traps within fused glass layers. Kiln alchemy adds extra dynamism to her narrative work.